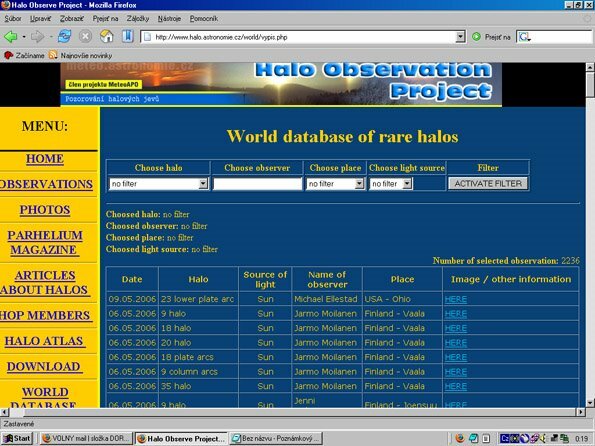 For all rare halos of the world is database now. The most contribution to database is from Finnish, Czech and German observing networks, and from a couple of active observers from USA. You can search the database in four ways: all observations, name of observer, country of observation and name of halo. I think, it's a really hard work for you to collect and enter all this observations. You have my respect! Thank you. Yes, it is hard work, but it is useful for all observers.